Poor old MobileMe. It tried hard, but never quite delivered. Expensive, sometimes slow and saddled with a clumsy name, it has long had the air of an unloved child. Its development cycle was long and drawn out. And by the time Steve Jobs announced the end of its short and undistinguished life, just two years after its rebirth from the ashes of .Mac, few were inclined to shed any tears. Yet it wasn't all bad. The email service was stable and largely dependable. It synced our contacts, so we didn't need to tap them all in on an iPhone keyboard, and the calendar tool always made sure we turned up on time, wherever we happened to be. Apple knew this as well as anyone, which is why it chose to preserve those parts, jettisoning the web publishing, photo gallery and iDisk, as it set about building iCloud. Housed in a vast data centre in North Carolina, iCloud is Apple's next-generation online service. It syncs your iPhone, iPad, Mac and iPod touch. It can track a lost device, copy your iPhone snaps over the web so they're safely backed up on your Mac, and synchronise your iWork files so that whatever device you're using, downtime is never wasted time. Over the next few pages, we'll show you how to set up your Mac and iOS devices to use iCloud, how to sync your apps and data, and how easy it is to back up your documents to the web. You'll soon see that MobileMe's demise really was the iCloud with a silver lining. Whether you're moving an existing MobileMe account to iCloud or setting it up for the first time, Apple has applied its trademark logic to the process to make it as simple as possible. The most important step you need to take is to make sure all of your devices are up to date and running the most recent versions of each headline app. Here we'll walk you through the process, step by step. To take advantage of all of iCloud's features you need to be running OS X Lion. This is now well bedded in and although some older machines appear to run a little slower than they did under Snow Leopard, it's generally proved to be fault free and enjoys good compatibility with existing third-party hardware and software. iCloud requires Lion version 10.7.2 or later, which is the version currently being shipped through the App Store (£21). If you upgraded to Lion when it shipped back in July and haven't touched it since then, run Software Update now to downloaded the latest revision before going any further. Lion only works on Macs running on an Intel Core 2 Duo, Core i3, i5 or i7, or Xeon processor. That precludes the earliest Intel Macs and anything running a PowerPC processor. It requires a minimum of 2GB of RAM, 7GB of hard drive space and Mac OS X 10.6.6 or later. This was the first version of the OS released via the Mac App Store, through which the 4GB installer must be downloaded. If you're on a capped broadband deal or you don't have broadband, then all is not lost. Head for a bricks-and-mortar Apple Store if you have one within reasonable driving distance and download it there using the free Wi-Fi. Alternatively, order the £55 OS X Lion USB Thumb Drive from http://store.apple.com/uk/product/ MD256Z/A. It's over twice the price of the downloaded edition, but it does come on one of the best-looking thumb drives we've ever seen. One of the most exciting features of iCloud is Photo Stream, which automatically copies the 1,000 photos you've most recently taken over the last 30 days between your iPhone, iPad and iPod touch, as well as backing them up to any Mac running iPhoto or Aperture. Again, you'll need to ensure that you're running the very latest edition of either of these applications. In the case of iPhoto, that's iPhoto 11 version 9.2 or later, while Aperture users should be running version 3.2 or later. Both of these are available through the Mac App Store (iPhoto 11 costs £10.49; Aperture 3 costs £55). iCloud has taken over from MobileMe as the main synchronisation conduit for all of your data on Apple's integrated ecosystem. That includes not only your contact, email accounts, calendars and so on, but also your purchases through the iTunes Store, iBook Store and Mac App Store. That means that any purchase you make on any of your devices, or through iTunes on your Mac, will automatically be synchronised on each of your other devices. This works on your iPhone, iPad and iPod touch as soon as you upgrade to iOS 5 and activate iCloud. But to get the Mac side of things working you need to upgrade to iTunes 5 or later, again through Software Update. 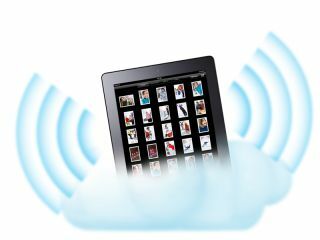 iCloud is compatible with the iPhone 3GS, 4 and 4S, iPad and iPad 2, and the third- and fourth-generation iPod touch. Each must be running iOS 5 to gain access to options for enabling the integrated iCloud features that sit at the heart of the OS. The original iPhone and iPod touch only support as far as iPhone OS 3.1.3, and the iPhone 3G and second-generation iPod touch, iOS 4.2.1. If you're updating several identical devices at one time, download the iOS 5 setup files manually so that you don't tie up your internet connection as iTunes retrieves them for each device individually. See here for the direct download links and instructions on how to apply each patch. Be aware that if you follow this route, the bundles differ according to which device you want to update. So while the OS underpinning your iPad 2, iPhone 4 and iPod touch might all be called iOS 5, they differ sufficiently for you to require a different setup file for each one. The simplest route to updating your device, therefore, is to connect it to your Mac using USB and launch iTunes. iTunes will check Apple's servers for the iOS 5 update and patch your device. Click Download and Update to proceed, having already performed a manual synchronisation to ensure there's an up-to-date backup of your data in place should anything go wrong. Once you've updated to iOS 5, all future software updates can be performed directly through the phone without plugging it in to your Mac. Tap Settings > General > Software Update to check for new releases. You'll also need to update your Apple TV to take advantage of Photo Stream and access your previous iTunes purchases. Do this by using your remote to select Settings > General > Software Update. When Apple TV has located the installer, click Download and Install (or Download Now on a first-generation Apple TV). When the download completes on Apple TV 2, the update will have been applied. On Apple TV 1, click Update Now. Note that only Apple TV 2 is compatible with iCloud Photo Stream. With all of your devices and applications up to date, it's time to take the plunge and set up your iCloud account properly. For existing MobileMe members, this is a simple matter of transferring your existing account. Everyone else, however, is starting from scratch. Turn the page to get started.